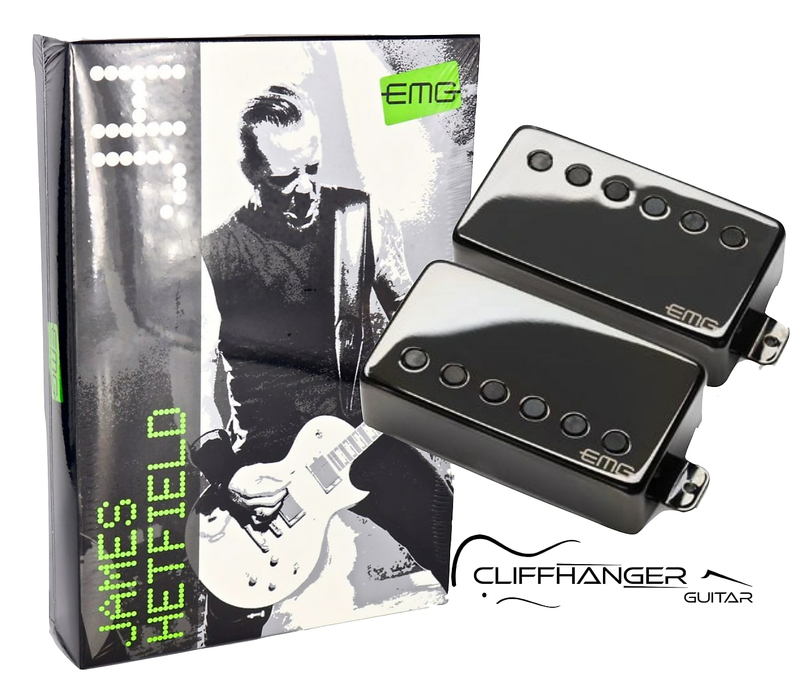 Nearly ten years ago James Hetfield contacted EMG Pickups President Rob Turner and presented him with a challenge: Create a “Stealth” looking set of pickups that captures the clarity and punch of a passive pickup yet still retains that legendary EMG active tone. The JH-Neck pickup contains individual ceramic poles and bobbins that feature a larger, taller core than found in the EMG 60's. This unique design produces more attack, higher output, and expansive low end in the neck position. The JH-Bridge pickup utilizes the same style core with steel pole pieces, unlike the classic EMG 81's that uses bar magnets. This design produces a tight attack with less inductance for a cleaner, clearer well defined low end. The JH neck and bridge signature pickups were patterned after pickups James had used for decades resulting in familiar yet completely different animal. 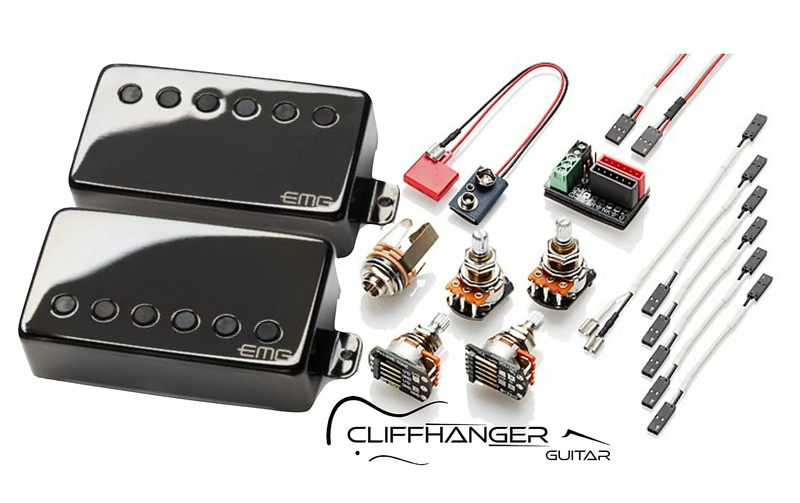 EMG James Hetfield Signature Set (Black Chrome) includes the following solder-less installation kit.